Whether it’s a single-family home, an apartment, or a luxury property, the visual of the listing is what usually draws in potential buyers. It also makes the realtor’s job much easier. A great photo creates a strong emotional response. The buyers can imagine the property as their future home, rather than just another listing. And this is one of the driving forces behind successful sales. From the point of view of a buyer, there’s nothing more disappointing than to find a listing with the perfect location, the right price, and all desired features, only to find blurry photos, or worse, no photos at all. For the seller, this might result in longer selling times, adding unnecessary pressure and frustration. A quick online research into the topic of real estate photography comes back with a unanimous verdict. In today’s fast-moving and digital sales environment, a well-executed and strong visual is a must. Buyers now use an array of devices and digital platforms to click through the numerous listings, and realtors mindful of this not only create a lasting impression for the buyer, but also potentially secure a returning client. A great visual is more likely to draw the buyers’ attention, build and retain interest in the listing, and result in a faster sale and higher asking price. Yet, only a third of all realtors hire a professional photographer for their listings. On a side note, more clicks on a listing does not always equal more sales. However, it is a good indicator that potential buyers are interested in the property and more viewings of the listing will result in finding the right buyer and building a realtor’s professional reputation. Real estate is a popular career choice, which leads to an increased amount of competition. Being a realtor in the 21st century means to create a brand for yourself and promote it. High definition photography is one way for realtors to brand themselves as professionals passionate for what they do and working hard for their clients. And for those new to the world of listings, what better way to invest resources than great visuals to add to a realtor’s growing portfolio. As a realtor, your weekly schedule is packed with viewings, phone calls, paper work, and so much more. With such a busy schedule, taking and editing your own photos can take a great deal of time and add stress. If you happen to be a realtor with amazing photography skills and professional equipment, and can manage to put time aside for editing, go for it. A realtor is often a Jack of all trades and to have a strong knowledge of the visual medium is a definite benefit in the field. Look at the example below, from The Inman Files. The photo on the left is taken by a photographer who charged $500 for the shoot, the shoot on the right cost $2,500, excluding the staging. Staggering difference, isn’t it? The same room, yet the effect of right lighting, composition, angle, and post-production make the listing either look bland or stand out. The photo to the right is most likely to evoke an emotional response from the potential buyers and result in a fast and successful sale. As the article correctly notes, ”a potential homebuyer will not be thinking about why they love a photo; they will only know they love it,” and that they love their future home. As for advice on how to select the right real estate photographer, do your research on local photographers and their work, and inquire with realtors. Keep in mind: paying more for photos does not always mean better quality, but great quality photos won’t be cheap. You can live here too! Check out Kelowna Life to learn how. Happy 2019! New year always comes with new resolutions and the inspiration to make the most of what the year has to offer. Whether you’re thinking of moving to Kelowna or relocating within the city, January is a great time to look into buying. And now that the 2019 BC Assessment is available online it’s easy to check what your potential home is worth and how your desired community stands among the other neighbourhoods. After all, you want to make sure you not only buy the home you love, but also make a smart investment. If your 2019 resolution is to make a smart real estate investment, there are a few things to consider. Perhaps you had hoped to buy a house before the end of December but found the low inventory didn’t offer what you were looking for. Perhaps you found your perfect listing but another buyer had a higher offer. Or perhaps your desire to buy was affected by last year’s government policies: speculation tax, higher interest rates and taxes, and the mortgage stress test. Real estate is a dynamic market and our experienced realtors have learned to play within the changing rules and regulations. This means, that we can give buyers the best advice on how to pursue their real estate dreams and how to navigate the policies. Even though residential real estate in Kelowna is slower in January, compared to spring and summer, with experts by your side, any season is the right season to invest in real estate. In the winter months, inventory tends to be lower, but Kelowna is a growing city and real estate never sleeps. 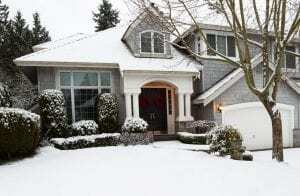 Back in November we talked about “6 Tips On Why Sell Your Home In Winter”. While these tips were focused on the seller, there are some points that also benefit the buyers. Colder weather means the seller will have to pay attention to factors like energy efficiency, upgrades, and maintenance. 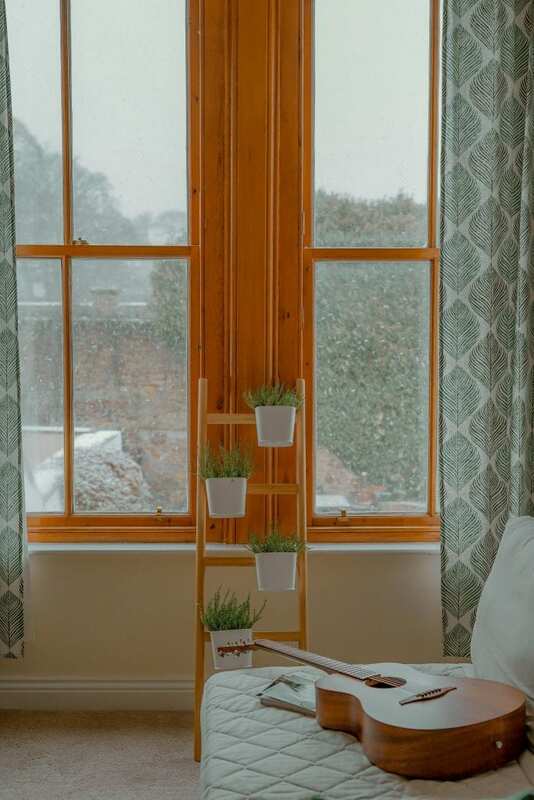 If any issues arise, such as drafty windows, it’s in the seller’s best interest to get these fixed, which means less future expenses for the buyer. Less inventory also means less competition, so if you’re looking to avoid a multiple offer situation and the asking price going up, this is most likely to happen in the winter. There are a couple additional benefits. First, prices may go down for houses that have sat on the market all winter. With low inventory, if you’ve had your eye on a property that has been listed for a while, you might be in luck. Second, January is usually the busiest months to get mortgage pre-approvals, so while buyers are securing their financing, most sellers are getting ready to hit the market. This also means the buyer has time to scope out their perfect neighbourhood. If you have always wanted to live in Kelowna or are ready to move to a new neighbourhood in the city, we are here to help you. Whether you are not sure if now is the right time to buy, or how recent government policies might affect your ability to buy, our Kelowna Life team is one phone call or message away from getting all the answers you need to make an informed decision. When we think of selling and buying homes, we often believe that only the warm months of the year are the ideal time to do so. Our Kelowna Life experts will tell you that any season is the right season to sell your home, you just have to know how to prepare and take advantage of it. Warmer weather drives more potential buyers and your home might sell faster. It’s also more convenient to move in and out without wearing layers of warm clothes and worrying about shoveling. But Kelowna is one of the fastest growing cities in Canada and even in the colder months real estate remains a hot commodity. With our real estate experts by your side, we can help you sell your property for top dollar even when it’s gloomy and cold outside. 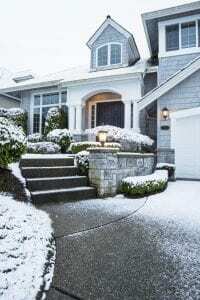 Here are 6 reasons why you might want to consider selling in the winter and how to prepare for that. Buyers in the winter are most likely looking for a home because they have to, so they’re more motivated to buy, rather than shop around. For the seller, this means that there will most likely be fewer showings, but more serious buyers. For families with young children, usually spring and summer are ideal months to buy a house and move because their kids are out of school. 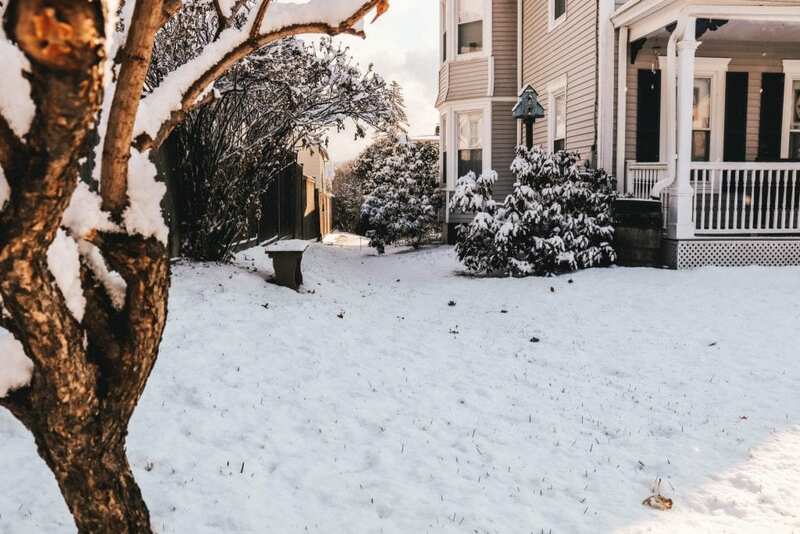 Selling in the winter will attract buyers who are not restricted by the school schedule. Another interesting fact: most companies relocate their employees during winter, usually at the beginning of the year. The employees and their families are, therefore, more motivated and more serious about finding a new home. The trick to convince the buyers that your listing is the one, is to make your home feel warm, cozy and welcoming. Tip: Urgency still means a potential buyer will want to get value for their money. Because you’re selling in the colder season, questions and issues related to heat costs and maintenance might come up. Prepare your home by getting your heating system, roof, and windows inspected. 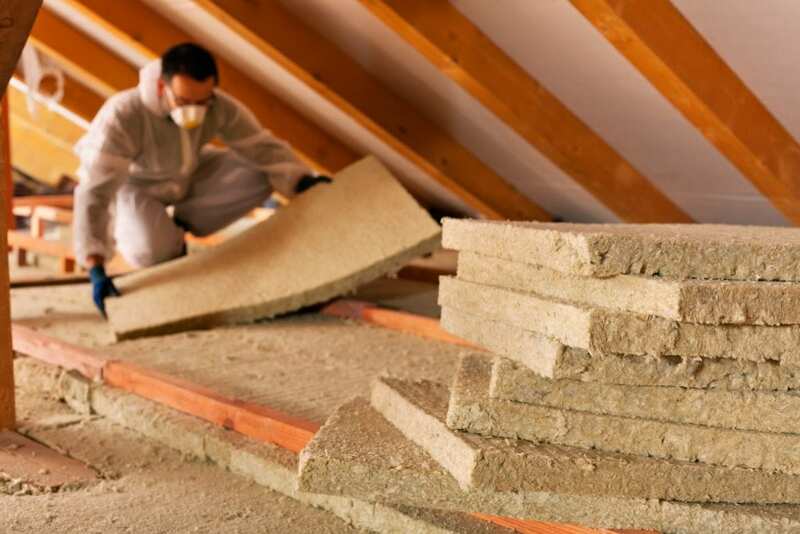 If necessary, have repairs done, weather-strip your windows or install energy-efficient windows, and insulate your attic. If your house is energy efficient, this might play to your advantage. A buyer looking for a home in winter pays more attention to upgrades that don’t require much maintenance in the winter. If you highlight these upgrades, you might even sell above asking price. Tip: Winter comes with grey skies and gloomy weather. It also affects the first impression of your home. Counteract the season’s dark colours by brightening your home. Paint the walls a lighter colour and check if you need to caulk your windows. Open all curtains and blinds, turn on all lights in the home, and clean all windows and surfaces to make your home sparkle. Tip: De-clutter and de-personalize, and stage your house with throws, pillows and other neutral seasonal touches. Don’t forget about other senses when creating the right mood. Avoid strong scents, like candles or air fresheners. To add to the welcoming feeling, bake some cookies and put the on a plate for buyers to enjoy. Turn on some soft music in the background; jazz and classical music usually work the best. And don’t forget to turn the heat up. There is less inventory in the winter, but there are still people looking to buy. Depending on your asking price, neighbourhood and other aspects of your home, you might even receive multiple offers. For some sellers, it might even benefit to sell when there’s less inventory. The key is to work with an expert realtor who knows the market, understands the advantages and disadvantages of your home, and then lists it based on this information. It’s true that you’re more likely to make more money off your property in the spring and summer months. But it’s also important to understand that in the spring the competition is more fierce and not all homes sell. On some occasions a home has to be relisted at a lower asking price than what it’s worth before an offer is made, and then it might be bid up. An added benefit: because winter is slower, your real estate agent will have more time to negotiate on your part. Tip: Because in winter you’re less likely to have as many potential buyers as during warmer months, don’t test the market and list a higher price. Play safe and price your listing at market value. This way you won’t have drop below market value if your house doesn’t sell. With your property covered in snow, it might be hard or impossible to do any landscaping. This makes it easier to focus on the inside of the house and make it as welcoming as possible. This, however, doesn’t mean that landscaping should be completely ignored. Curb appeal is crucial even in the winter months and makes a good and lasting first impression. Tip: Do some basic landscaping and add some cool-weather plants to invite buyers to step inside. If it’s snowing, make sure you clear a path from the side of the road to your front door. Tip: As you’re de-personalizing your house, make sure to display photos of what the outside looks like in the summer. A garden in full bloom, sun reflecting in the pool, and any other photos that would showcase the full beauty of the home. A new year often comes with resolutions and the desire for new beginnings. This includes buyers looking for a new home. Stage your home to reflect this mindset with seasonal decorations, soft music, and other tips shared in this blog. Serious buyers always keep their eyes open for the right property, regardless the season. With technology at our fingertips, buyers can search listings at anytime and in any season. With colder weather, we tend to spend more time indoors. Whether we’re on the couch or watching our kids hockey practice, our phones and tablets are most likely by our sides. We also tend to cheer ourselves up by finding stuff online, including homes. Note, if a buyer is on the lookout for a home in winter, their eye will most likely be caught on a bright photo of your cozy home. Tip: If there ever is a perfect time to invest in the services of a real estate photographer, it’s in the winter. A professional photographer will bring out the beauty of your home and increase the chances of your listing catching a buyer’s eye. Are you looking to buy or sell your home in Kelowna this winter? Our Kelowna Life experts are ready to help you. Kelowna Life Real Estate Group wants you to be successful in your relocation endeavour. If the time has come to upgrade to the beach, downsize to a condo or simply find a neighbourhood that reflects your best interests, we can help! Our experienced, reliable team knows every area around town and can easily facilitate your next property discovery. Is your home in the perfect selling condition? Taking a few tips into consideration prior to listing can help you obtain more than your asking price. Clearing out your home room by room can seem like an arduous task; however, it is a vital component of the moving process. Allow yourself the opportunity to simplify by packing up the majority of your books, collections, photographs etc. Many clients use this time to purge and donate gently used clothing and household items to local charity. Potential homebuyers prefer a more sterile setting in order to visualize their own items in the space. Besides, you will enjoy packing up less items when you move locations. Simplifying your surroundings ensures there is less to clean and take care of. This process will help you be ready for the possibility of multiple showings. A clean and organized space is the best when it comes to showing your property. 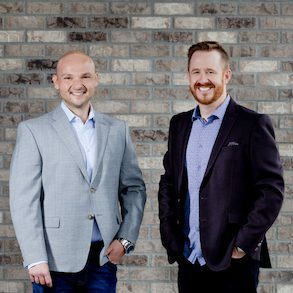 Our friendly and professional team at Kelowna Life Real Estate Group communicates closely with each client to ensure all listing dates and open houses work well for you and your family. If you are planning a huge cleaning and garage sale session or deck re-staining party, it is a great idea to share this info with your real estate agent so we can ensure viewing dates are convenient for you. Does each room in your home have a specific purpose? Does the office resemble a workspace or is there a bed due to the simultaneous spare room situation? 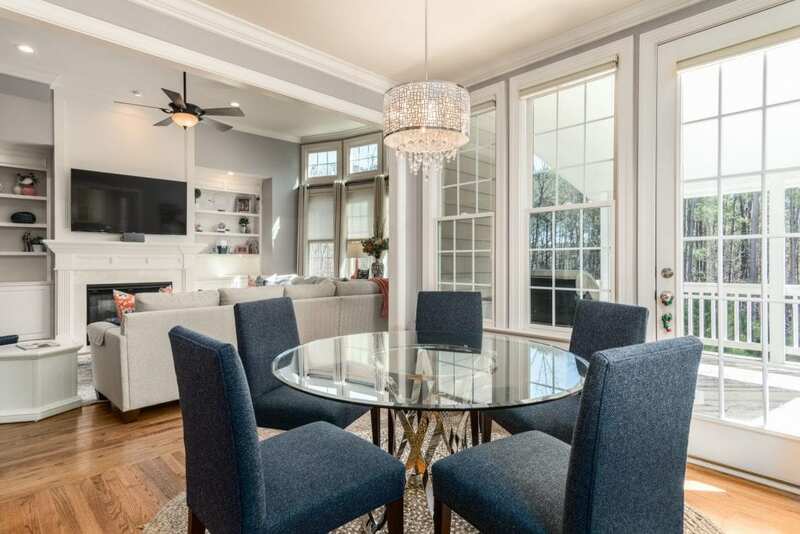 Has the family room melded into the dining room? Is the garage for storing cars or endless boxes and Rubbermaid’s? Walking through each room prior to your showings and creating a clean and relaxing vibe will go a long way towards making your home feel inviting to potential buyers. Look for some fun staging ideas online and have fun with the revamping process. Or if that is not your cup of tea, consider hiring a home staging company to complete the process your behalf. Curb appeal is a huge consideration when it comes to potential homebuyers. Our hot Kelowna climate and warm Okanagan landscape wreaks havoc on stained decks, stairs and exterior trim. Inspect your front entryway, deck, front door and banister to see if it has fallen victim to peeling, chipped, horrible paint or old, flaky stain. Decks commonly have to be refinished every 3 to 5 years depending on their direction. Kelowna Life Real Estate Group recommends keeping your grass as green and welcoming as possible within city watering guidelines. Avoid watering in the heat of the day. Use some low maintenance, drought-resistant Xeriscape friendly plants or container gardens to add colour and vibrancy to your landscape. Your curb appeal can be fun and functional with a little creativity. 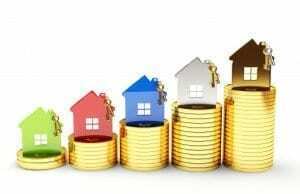 Do some research and determine an accurate asking price based on the current Kelowna real estate. Find out what homes in your neighbourhood are going for and don’t feel the need to shave too much off of your asking price right away. The market is hot and we are one of the fastest growing communities in all of Canada. If you have recently completed numerous upgrades to your home, you may wish to hire a qualified home appraiser to provide you with a possibly higher than anticipated starting point. We love the Okanagan and look forward to working together. Contact Kelowna Life Real Estate Group today and let us help you find the home of your dreams! To get an estimate on your property valuation, fill out this form on our website! You can always get in touch by phone at 250.575.4300.